Courtney Gallagher is a graduate of the City University of New York at the College of Staten Island where she earned a Bachelor of Science in Business Management. Courtney received her Juris Doctor from New York Law School where she was an associate of the Center for Real Estate Studies. 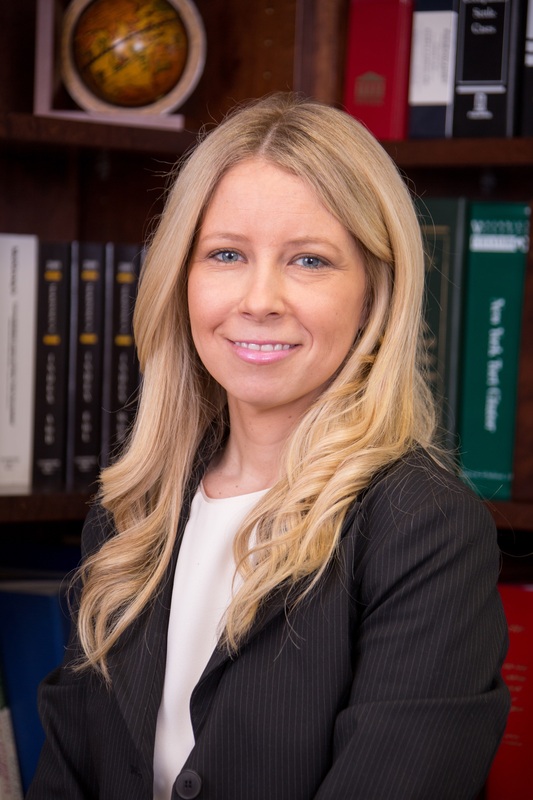 While pursuing her law degree, Courtney was a legal intern for the Honorable Arthur M. Schack, Civil Term, Kings County Supreme Court and The Office of the New York State Attorney General. She also interned for the law firm of Finkelstein Newman & Ferrara in Manhattan. Prior to joining Amir Alishahi & Associates, P.C., she was an associate at the firm of Lahr, Dillon, Manzulli, Kelley & Penett, P.C. in Staten Island, New York. Courtney has experience representing institutional lenders in various aspects of mortgage financing for all types of residential and commercial real estate, including multi-family properties. Courtney was admitted to the practice of law in 2011. She is a member of the bars of New York and New Jersey. © 2019 Amir Alishahi & Associates, P.C.